Rob Nelson is executive chef and owner of downtown Bentonville restaurant Tusk & Trotter. Nelson lost 120 pounds in 14 months on the flexitarian diet. The diet is predominantly plant-based and his restaurant's menu is one-third vegetarian. Tusk & Trotter in downtown Bentonville is a restaurant go-to for local High South cuisine, but don’t let the big pig on the wall fool you. Owner and executive chef Rob Nelson said the restaurant’s menu has adapted — just like he has — to a flexitarian diet. Patrons who visit Tusk & Trotter will find one-third of the menu is vegetarian, with organic ingredients throughout. There is also a completely separate gluten-free menu. Nelson said as Bentonville continues to be a melting pot of cultures, his restaurant has become more thoughtful about the food it serves. In early 2018, Nelson was diagnosed with arthritis, and at 325 pounds he knew his own eating lifestyle was not sustainable. That’s when Nelson adopted a flexitarian diet that is predominantly plant-based, with between 10% and 20% of the daily intake being animal protein. Nelson joins a growing trend of flexitarians believed to be up to 30% of the population today, according to Nielsen. Nelson said flexitarians tend to be Millennials or vegetarians who have decided to occasionally eat meat. A recent poll by Gallup found 85% of American consumers are meat eaters. But among those meat eaters are a growing class of consumers who eat far more vegetables and plants. Gallup reports the rising sale of plant-based foods, without a corresponding increase in the percentage of Americans who identify as vegan or vegetarian, indicates an uptick in those who are self-proclaimed flexitarians. The survey found plant-based food sales rose 8.1% in 2017, surpassing $3.1 billion in 2018. Plant-based alternatives to dairy products are soon expected to account for up to 40% of dairy beverage sales. Nelson said his personal journey has been amazing. 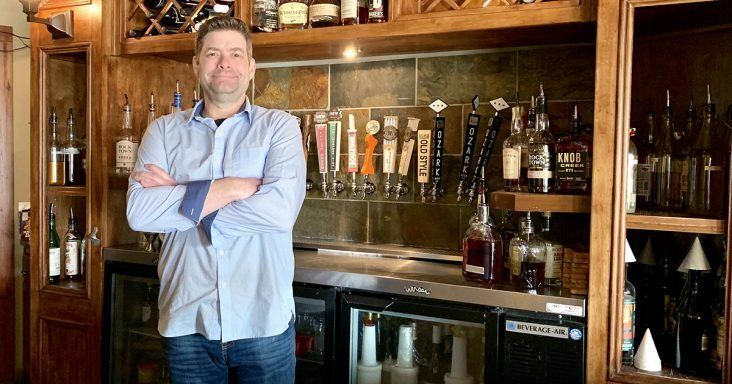 Aside from Tusk & Trotter, Nelson also manages the High South Culinary Lab in Bentonville, and he’s a co-owner of Butcher & Pint restaurant. His catering business provides all the meals for the Thaden School in downtown Bentonville. Nelson said his own diet changes also include no-gluten, no alcohol and no dairy, which is stricter than most because of his medical condition. He started the flexitarian diet by reducing his meat consumption to 20% of his total food intake per day. Within a few weeks he was able to decrease the meat to 10% of his daily consumption. Instead of having a 12 oz. steak with a side salad, he now has a big salad garnished with a 3 oz. steak. Nelson’s favorite dessert used to be ice cream, but now he doesn’t crave it anymore. He said the sugar cravings all but disappeared within a few weeks of changing his diet. Nelson said his personal journey is also what helped him to better serve his customers with dietary requirements or preferences. His favorite vegetable to use throughout the winter was the gold beet. He said pink beets, turnips and radishes will be staples in his entrées for the spring and summer menus. Adding more organic plants into his diet and his restaurant menus has completely changed the way Nelson thinks about putting together an entrée. He said because plants are less expensive than meats, he now has more budget to occasionally source exotic meats like ostrich or antelope. Nelson said vegetarian consumers who want to adopt a flexitarian diet can do so slowly by first cooking with animal fats. He said cooking with animal fats count as meat protein in a flexitarian diet. “Cooking tofu in bison tallow is one way a vegetarian can tiptoe into the flexitarian lifestyle,” Nelson said. He said the younger generation is leading the pack in flexitarian dieting. Nelson said young consumers he talks with want lighter ingredients, bolder flavors and smaller portions of great food, instead of the all-you-can-eat food feasts to which older generations tend to be attracted. “Today, I see more vegetarians and vegans in my restaurants who are not scared off by the big pig on the wall. That’s why one-third of my menu is devoted toward this flexitarian lifestyle,” Nelson said. Nelson said following the trend and his own personal journey have made him a more well-rounded chef and more thoughtful toward lighter cooking. 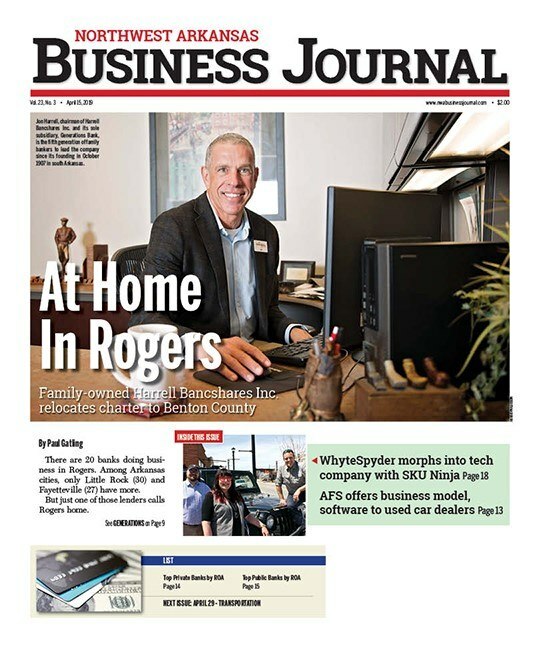 Tyson Foods President and CEO Noel White, recently told the Northwest Arkansas Business Journal the company’s investments in plant-based protein like Beyond Meat and Memphis Meats were just the tip of the iceberg for the company. While White believes the demand for meat in the U.S. will remain steady, he said flexitarian dieters provide room for success in meat and alternative meat categories, and Tyson Foods is looking to play in both spaces. The Good Food Institute and Nielsen reported plant-based protein sales rose 23% in 2018, and the trend is happening all over the country. Nielsen reported retail sales of plant-based meat grew double-digits across all nine U.S. Census regions, and some of the greatest growth is actually coming from the center of the country. While refrigerated, plant-based meat sales are growing fastest in the Pacific and Mountain regions, frozen plant-based meat sales are growing fastest in the West South Central region, which includes Texas.